The Internet of Things (IoT) is delivering the promises of greater efficiency, improved production, enhanced and new services, and deeper levels of control and data acquisition for city planners, city managers, agriculture, manufacturing, and individuals. The widespread availability of wireless, radio frequency (RF) based connectivity is fueling the growth and success of IoT solutions. Because IoT solutions typically rely on resources distributed over wide geographical areas for system operation, an RF-based infrastructure is ideal. Acquisition of larger volumes of more detailed data to support continual process optimization. An IoT solution architecture includes both software and hardware components. For the purposes of this paper, hardware will be the focus. Widely distributed hardware resources are used to provide the localized control, communication, and data acquisition capabilities required for effective operation. What challenges are IoT solution implementers facing? Industry 4.0 might be considered more akin to Smart Ag than Smart Cities because of the harsh environments encountered in many situations and the potential for significant distances between hardware components. Consider, for example, mining, refining, and chemical production operations. These situations typically occupy sizeable areas and many of the process components are located outside. Structures for attaching wires may be widely separated or be unsuitable for direct attachment. IoT components can be exposed to the weather as well as dusty, caustic, or corrosive environments that can impact hardware life and functionality. Regardless of the IoT application, RF provides an optimal solution in many, if not the majority of, cases. Running additional wire (copper, fiber, or coax), on poles requires permits and permission from the host utility. Adding wires may necessitate a loading study to confirm the ability of the poles to handle the extra wire’s weight, weight from icing on the new wire, and wind loading. Co-location on utility poles and other facilities typically incurs an ongoing, periodic fee. Underground wiring involves expensive excavation and repair of disrupted surfaces. When wiring breaks, it must be repaired by qualified crews. If it is underground, the cost and delay is significant. There may not be poles in Smart Ag solutions and underground is rarely practical. With Industry 4.0, space may not be available or readily accessible for installing or attaching wiring. More devices than ever before are being sold with a wireless connectivity capability. This additional capability is an acknowledgement of the flexibility RF provides and is a response to widespread availability of RF systems that provide access to the internet for cloud-based control and data analysis. This rapid growth can put engineers at a disadvantage if they do not have RF experience or have not had experience integrating RF capable components in their designs. Amphenol RF engineers are a tremendous resource to engineers facing either of these situations. As the largest RF connector provider globally, Amphenol RF engineers can apply their unparalleled knowledge of connector optimization to your specific situation. Does the RF device’s PCBA use through board or surface mount components? Which connector is best suited for the situation? Are the PCBA launch geometries (antipads, trace widths, and gaps) optimized to handle the project frequency? What type of antenna connection is preferred to meet initial cost requirements and ease of future maintenance? What type of data and command communication is required in terms of quality, packet size, and speed? Where will the RF device be mounted? In an enclosure? In a corrosive environment? In harsh weather environments? What are the RF frequency and quality requirements? Where are antennas mounted? Internally? Externally? What type and form factor of antenna is being used? How far is it from the RF Hardware? How many distributed devices will be connected to a single antenna? Is a multi-port connector or single connector more applicable? Can the design utilize pre-configured, off-the-shell assemblies or is a custom connector more beneficial? Table 1 is taken from an article review written by Judith Sobotie regarding the Padova, ITALY Smart City project. The table illustrates the complexity of a Smart City technical architecture in terms of integrating the various components into a properly functioning IoT solution. It lists communication options, data timing, packet sizes, and more. Amphenol RF engineers can aid in selecting the right connector for each layer in the solution. Amphenol RF offers an extensive array of technical product and product application data in addition to its engineering capabilities. One example is the availability of ANSYS HFSS 3D component models (see Figure 1) for many Amphenol RF connectors. These free downloadable files allow engineers to test a PCB connector’s performance in their PCBA design with an extremely high degree of accuracy. These files eliminate the need for building prototypes to determine performance, reducing both development costs and time. When it comes to implementing a RF-based solution, the quality of the connectors used will go a long way to determining how well the solution will perform. Regardless of the type required, a reliable, durable, high performance connector is a necessity for optimization of RF signal transmission. Proper connector specification and procurement is critical. Commercially available prefabricated wireless modules incorporating Amphenol RF connectors. These prefabricated modules are designed to provide engineers with compact, functional sources of wireless and RF connectivity including Wi-Fi, ZigBee, and Bluetooth. These modules are frequently part of reference designs engineers utilize to speed development of their own products. Engineers working tasked with building a wireless capable device may be unfamiliar with RF and wireless technology and optimizing its integration into their product. Amphenol RF engineers are an excellent resource to assist with the integration. RF connectors are designed into a PCBA assembly to facilitate connection of antennas, support the frequency and impedance of the solution, and protect against environmental conditions (IP67 or IP68 spec connectors). Pre-configured cable assemblies are designed to provide affordable, proven antenna connectivity to antennas located outside the electronics case or inside larger hardware cabinets. They are also ideal for prototyping hardware designs. 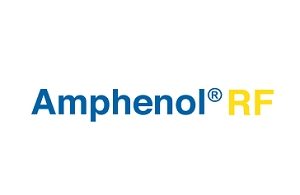 Amphenol RF is the world’s largest, most experienced producer of radio frequency (RF) connectors, coaxial adapters, and RF cable assemblies. Using its industry best engineering talent, Amphenol RF connectors employ the most advanced materials and production methods without compromising manufacturing efficiency and productivity. Amphenol RF connectors’ role in the IoT ecosystem is fundamental to the proper functioning of IoT solutions by providing sound, reliable, durable, and high performance connection to antennas and delivery of the RF signal with minimal loss and distortion. Innovation is a priority within every line and individual product engineered, manufactured, and sold by Amphenol RF. It is not enough to simply meet industry performance standards. Amphenol RF considers those the bare minimum and engineers its products to maximize both electrical and mechanical performance. Additionally, Amphenol RF offers the broadest range of connectors in each category whether it be 75 ohm BNCs for superior data transfer in high-definition broadcast settings or SMPM products for high-frequency signal transmission in a micro-miniature package size. With this exceptional range and variety, an Amphenol RF connector can be matched to any application. Every RF device has an antenna and nearly every antenna needs a connector. Amphenol RF connectors ensure optimal signal performance. Amphenol RF Interconnection Solutions, Enabling IoT.